June is the time of the year when swine producers from around the world migrate to Des Moines, Iowa for the World Pork Expo. For three days, growers obtain the latest information on swine equipment, new biologicals, new swine genetic crosses, government regulations, and nutritional advances. The Soybean Meal INFOcenter each year looks forward to participating in the trade show and visiting with a major user of soybean meal. Swine (nursery pigs, growing/finishing rations, gestation diets and adult maintenance feeds) account for about 25% of all domestic use of soybean meal. Soybean farmers appreciate the opportunity to service the swine industry in providing a uniform, high-quality protein feed ingredient that makes the formulation of productive swine diets a reality. Together, swine producers and soybean farmers have a common goal of expanding Profitable Swine Production. It is a “win-win” for World’s Pork Producers and our Nation’s Soybean Farmers. This next graph shows the top 10 U.S. states based on the number of hogs and pigs in 2018. Iowa came in first place, where the inventory stood at around 22.6 million hogs and pigs, as of March 2018 estimate. The total number of hogs and pigs in the U.S. is estimated to be about 72.9 million and up 3% from 2017. Soybean Planting Season is Here. 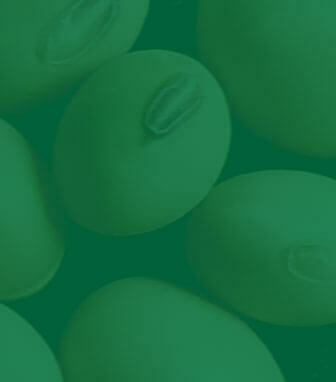 The April 10th USDA’s World Agricultural Supply and Demand Estimates provide an estimate of the coming season’s soybean/soybean meal supply and demand. While values can change due to weather and market conditions, it would appear that U.S. production of soybeans will be essentially similar to last years based on the number of acres to be planted to soybean and the anticipated soybean yields. USDA economists are also predicting a similar soybean crush and a somewhat larger soybean export volume. Both domestic use and exports of soybean meal are predicted to change much from last year’s values. Relationship of soybean quality to soybean value. Soybean meal is the predominant protein source used in commercial channel catfish feeds because it has the best amino acid profile among all commonly available plant protein feedstuffs. However, soybean meal contain oligosaccharides that are not utilized in fish due to the lack of digestive enzymes and microbial activities in fish guts. These compounds can also interfere with nutrient digestion and promote unhealthy gut microflora. A study was conducted at Mississippi State to compare a commercially available soybean meal (SBM) to a low oligosaccharide soybean meal (LOSBM) as the main protein sources in channel catfish diets. Four diets were formulated to contain 28 or 32 percent protein with CSBM or LOSBM supplying most of the protein. The experiment involved 20 channel catfish with mean initial weights of 10.0 grams/fish per aquarium; five aquariums per dietary treatment; and the fish were fed to apparent satiation once daily for nine weeks. Results indicated that regardless of dietary protein levels, the juvenile catfish fed diets containing LOSBM had feed consumption, weight gain and feed conversion similar to those fed diets containing SBM. This experiment supported previous studies that channel catfish utilized SBM well as a protein source and levels of oligosaccharides did not appear to affect the nutrient utilization and growth performance of the channel catfish. Collaborative research conducted at the University of Illinois and with a commercial company in Germany studied the effects of excessive heat on digestible energy (DE) and metabolizable (ME) and standardized ileal digestibility (SID) of amino acids (AA) in a heat-treated soybean meal (SBM) fed to growing pigs. Nine treatments were prepared using a conventional SBM that was either not autoclaved or autoclaved following one of 8 treatments: 110°С for 15 or 30 min or 150°С for 3, 6, 9, 12, 15 or 18 min. In the first experiment, 20 barrows weighing about 44 kg were assigned to the 10 treatments. A corn-based basal diet and 9 diets containing corn and one of each SBM treatment were formulated. Urine and feces were collected for 5 day. In the second experiment, 10 ileal-cannulated barrows were allotted to the 10 treatments (one N-free diet and nine SBM treatments). Ileal digesta were collected. Results indicated no effects of autoclaving at 110°С on ME or on SID of AA in SBM, but both ME and SID of AA in SBM were less (P ‹ 0.01) if SBM was autoclaved at 150°С compared with 110°С as shown in the following table. At 150°С, there were linear decreases (P ‹ 0.01) in both ME and SID of AA in SBM as heating time increased. 1110°С vs. 150°С: P < 0.001. 2Linear effect of heating time at 150°С: P < 0.001. Energy and on Amino Acid Digestibility in Soybean Meal Fed to Growing Pigs. J, Anim. Sci. 96 Supplement 2, Abstract 47.